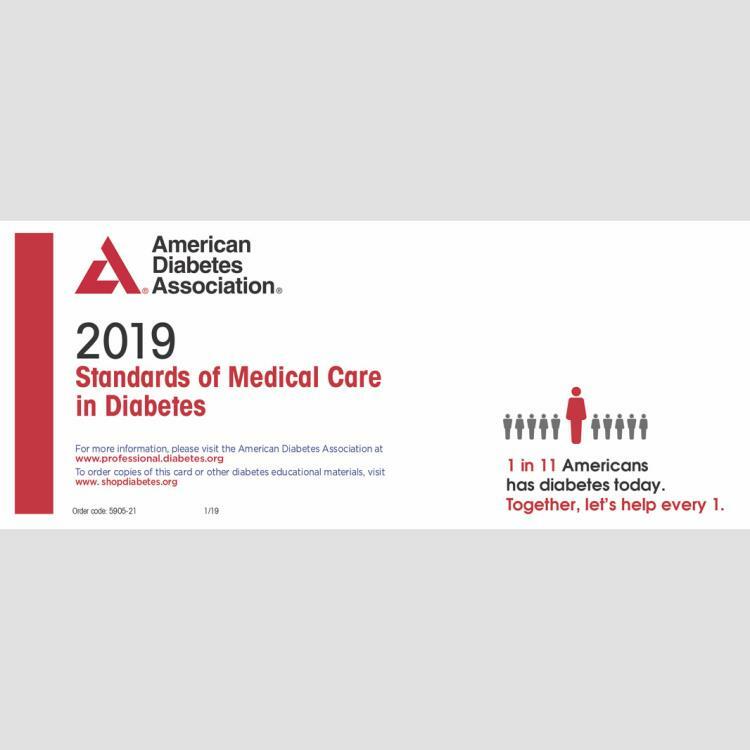 Pocket-sized folding chart with latest from the 2019 Standards of Medical Care in Diabetes. Click here to learn more about the 2019 Standards of Medical Care in Diabetes. 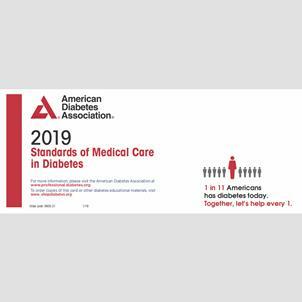 The 2019 ADA Standards of Medical Care in Diabetes Pocket Chart is a quick reference guide highlighting the Association's most recent positions on control of hyperglycemia, medication therapy, cardiovascular risk factors, and treatment goals for patients with diabetes and prediabetes.